We started our family world trip in Quito, Ecuador. 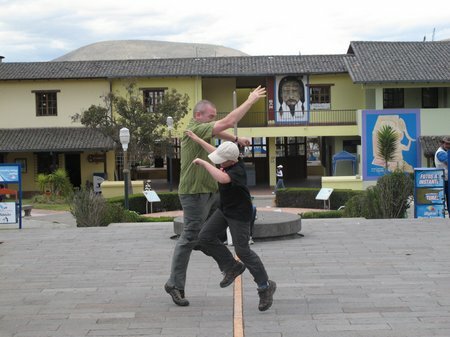 Although we plan to chill out at the beach in Southern Ecuador for a little rest and relaxation before we start the trip proper, I thought it would be fun to indulge in a little geekiness and take photos standing on the Equator as a way to mark the start of our journey in a notable way. My boys were only too happy to comply. 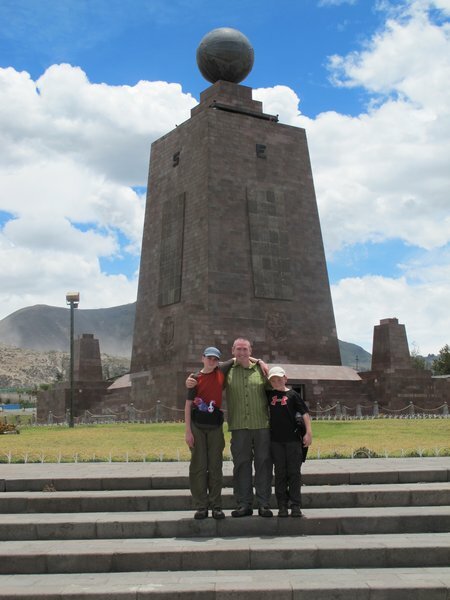 The Mitad Del Mundo is easily accessible via the blue line public buses from central Quito. There is an expressway which runs along Av America and Av Del La Prensa. If like us, you think that you don’t really need to take the express bus, be warned, the trip takes at least 30 minutes longer on the local buses. We paid less than $5 there and back for all four of us. Head on over to DeliciousBaby for more Friday travel-themed photo fun. Like what you’ve read and interested in reading some more? Subscribe to the WanderMom feed using rss or email, follow me on Twitter or become a fan on Facebook. 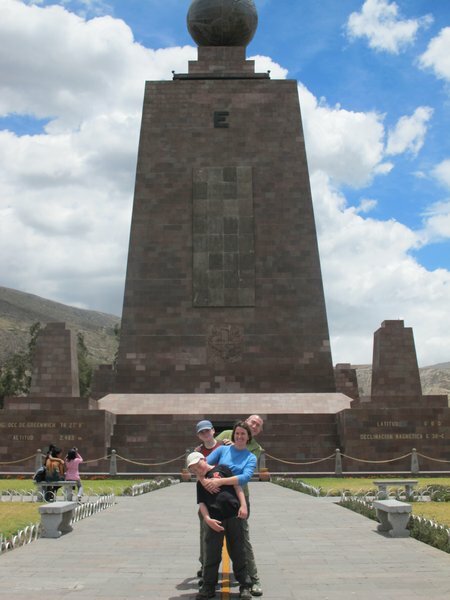 This entry was posted in Kid Travel Photos and tagged Ecuador, family world trip, Mitad Del Mundo, Photo Friday, Quito on September 9, 2010 by wandermom. Looks like we are about a month behind you. We’re shipping our bus to Columbia in the next couple of weeks. Hope we can catch up before you leave South America. Keep on having fun!